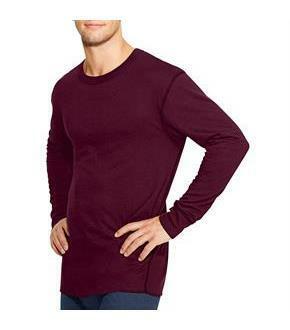 Size: 2XL, Color: Bordeaux Red (Red) is currently out of stock! Size: L, Color: Bordeaux Red (Red) is currently out of stock! Size: XL, Color: Bordeaux Red (Red) is currently out of stock! 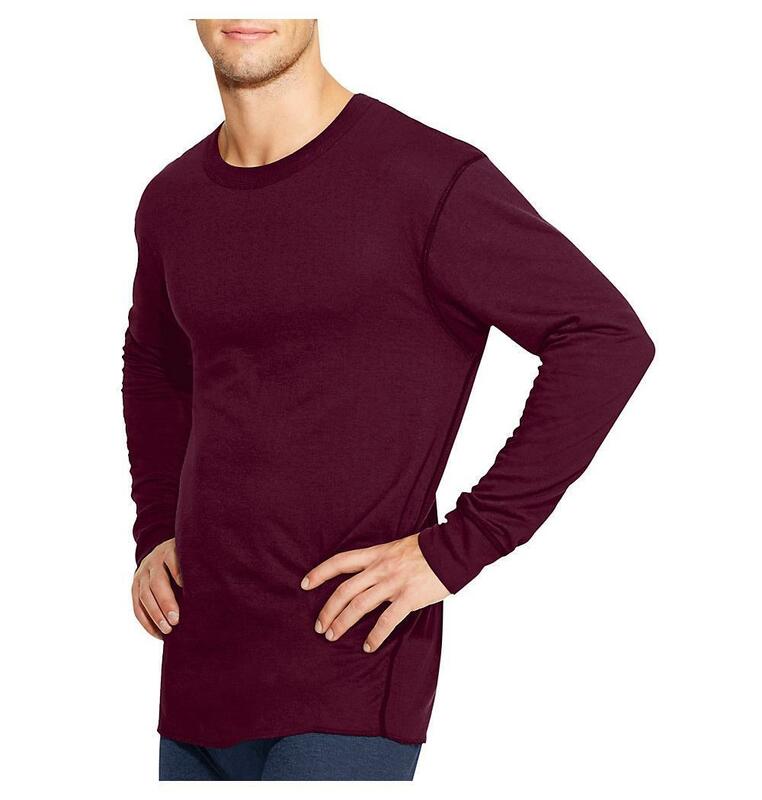 Classic 2-ply cotton-rich thermal underwear. Choose this base-layer shirt for everyday warmth during low activity levels. Soft texture-rich knit traps air between two thermal layers. Result: a chill-blocking barrier that keeps you comfortably warm. Close-to-body fit allows for easy layering. Tag-free banded crewneck won't itch or scratch your neck. Non-chafe flat-locked seams feel soft against your skin. Ideal on its own or as base-layer thermal underwear.